This is only one of many the examples happening in ‘Merica’ today. Share your thoughts. So I’ve been an intern at City Hall in downtown Cleveland for roughly over six months now, and daily I’m constantly meeting and having insightful conversations about diverse topics such as race relations within our communities to the city hosting a variety of tourist-driven events to boost economic growth. Well, just a few days ago, as I was a part of an interesting conversation with a few social activist and we discussed the possibility of our beloved City of Cleveland [hopefully] becoming a viable resource for the international impact for sustainability of freshwater while contributing to the economic development of Northeast Ohio. Great idea, isn’t it! In my recent research, I found that many people in Cleveland have been asking for years “what’s the city going to do with Lake Erie”, and I think the Cuyahoga County Planning Commission (CPC) has come up with a plan to answer that question. What I also learned is that the mission of the CPC is to “inform and provide services in support of the short and long-term comprehensive planning, quality of life, environment, and economic development of Cuyahoga County and its cities, villages and townships.” Currently, the need for land and water accessibility is essential in developing an increased quality of life in Cuyahoga County. Furthermore, the need of the county to be held accountable for its actions and to respond pro-actively to rapidly evolving economic, social, cultural, and demographic changes that are constantly occurring [locally & globally]. As my lunch break ended, I couldn’t help but acknowledge the fact that I, the intern [with an office in the basement], am too on the brink of excitement when it comes to social ingenuity coming to Cleveland, Ohio. I just hope this concept turns into reality as all these new medical facilities and other major corporations anchor here, as we are uniquely positioned to do more with water conservation than ever imagined! You are what you Drink!? 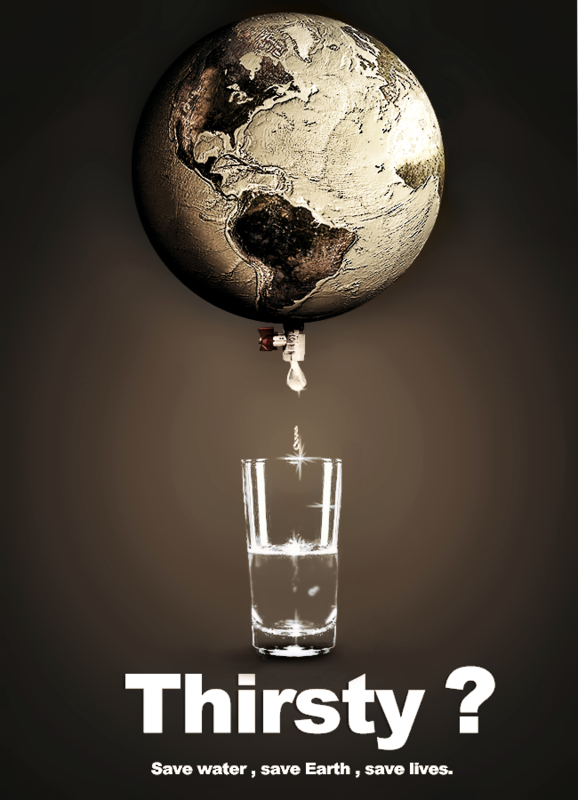 I know that doesn’t make much sense to you now, but soon after you watch this short clip from the full-length documentary “Tapped” produced by Altas films, based on the rise of bottled water is made, and the effects it has on the environment as well as society. Matt Damon a& Water.org is continuing its mission! So I’m sure you all know now about the water crisis. Here’s another installment from one of Hollywood’s most famous actors speaking openly and honestly about this global crisis concerning water. Here’s another video I came across while researching about water crisis advocacy, including a new revolutionary idea to help solve the world water crisis, “water credit”, which is the first program of its time to actually micro-finance tools by connecting financial institutions to communities in developing countries in need of clean water, by the means of small loans which are then made to individuals and households to be repaid + redistributed amongst others in the area. This is something YOU want to SUPPORT! To learn more about the crisis, and what you can do to help, please visit, http://water.org for information. As always, I encourage you all to learn and share as much as you can about water conservation, water resources and just the plain old benefits of water itself! Little do we know, the effects of our recycling efforts of cans, paper, and plastic are great, but not enough! However, we actually have a resource that needs to be recycled even more than those… We need to start learning how to recycle water! With the help of @GreenTipGuy and the many others around the world, a simple gesture such a recycling from US can have a life changing impact for someone else in the WORLD! You’d be surprised at about how many SIMPLE SOLUTIONS FOR A BETTER WORLD there are! Reach one, teach one; Each one teaches one for a cleaner tomorrow! So ‘Why Water?’ — Celebrity Activism at its finest! Do you know about the water crisis? I’m sure you’ve seen bits and pieces of it on television commercials, but, I bet you’ll acknowledge it a lot better when one of Hollywood’s most famous actor speaks openly and honestly about a growing social-justice issue. Here’s a video I came across while researching about water crisis advocacy, including all six parts, this is a candid interview with Water.org cofounder Matt Damon about the water crisis and what Water.org (a nonprofit organization) is doing to bring about change for the world.